Australian breeding cattle in Indonesia. AUSTRALIA’S livestock export industry has had its share of difficult years but there are several reasons why 2019 is set to be its most challenging yet. Government pressure: Opinion polls point to a likely 2019 Federal Election victory for Labor, which has pledged in government to phase out live sheep exports on animal welfare grounds. Increased pressure by trade opponents to extend the ban to cattle will undoubtedly follow. Not that the trade is enjoying a particularly healthy relationship with the current Coalition Government, with a series of recent reviews ordered by agriculture Minister David Littleproud in the wake of the Awassi Express welfare scandal set to impose tougher standards and greater operating restrictions on the trade. Trade supporters fear these regulations will ultimately strangle commercial viability and choke livestock exports out of existence, delivering a similar result to an outright ban, just in a stealthier form. ASEL review: Top of mind for the export trade in that regard is the pending release next week of final recommendations from the committee reviewing the Australian Standards of the Export of Livestock (ASEL). As we reported late last year late last year the draft recommendations announced in November would force significant changes on exporters, including requirements for lower stocking densities on ships, longer pre-export quarantine periods, and the introduction of “wet bulb” heat standard temperature limits for cattle exports, as are currently in place for sheep. The review committee conceded in its draft report that the recommended changes would cause greater costs and would force some operators out of the industry. The trade argued at the time that many of the recommendations lacked scientific backing and is now waiting to see if the final report maintains the same hard-line recommendations as the draft report. Indonesian uncertainty: Uncertainty is also mounting in Australia’s most important cattle export market. 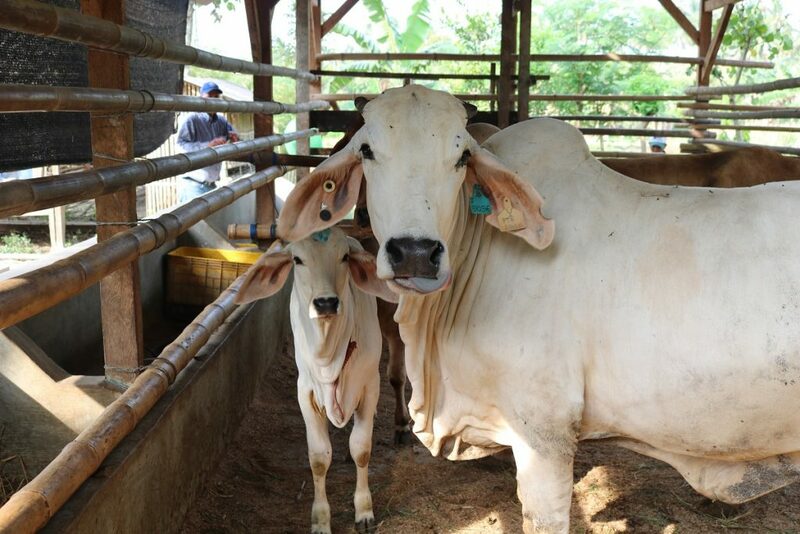 The Indonesian Government has recently audited the performance of Indonesian cattle importers against the requirements of its one breeder to five feeder cattle import policy introduced in early 2017. Very few importers if any have been able to meet the requirements of the policy, due to factors such as high cattle prices and the difficulty running breeding cattle in a feedlot environment. Recently reported Indonesian Ministry of Agriculture data shows that over the two year period 21,145 breeders were imported from Austraila, well short of the 134,250 head required under the policy. Showing it has more than one strategy in place the Indoneisan Government has also placed orders for breeding catle to be shipped from Australia to large professionally run breeding operations in palm oil plantations, with the first shipments recently being delivered. The industry is now waiting for clarity as to whether Indoneisa will be making any changes to its cattle import policies as a result of the recent audit, or if it will be business as usual. Indonesia will also hold its own national presiential elections in April, which could result in further changes to cattle import policies. Jerusalem embassy fallout: Australia and Indonesia were on the cusp of signing a free trade agreement late last year, which included tariff reductions for imported cattle and changes from seasonal to annual cattle import permits, which Australia’s has long called for to improve security of supply for Indonesia and to reduce costs throughout the supply chain. However, the signing was derailed when Indonesia took exception to Prime Minister Scott Morrison’s unexpected announcement during the Wentworth by-election to relocate the Australian embassy in Israel from Tel Aviv to Jerusalem. Indonesia is a muslim-dominated country which supports Palestine and saw the move by its near neighbour and major trading partner as a strong political statement of support for Israel. It now seems unlikely the FTA could be resurrected before the forthcoming federal elections in both countries, and hence may require further renegotiation depending on the election outcomes. Under threat is an export industry currently worth more than $1.2 billion to the Australian economy, of which half is returned directly to farmers, and which accounts for around 10pc of all cattle slaughtered annually in Australia, as detailed in a November 2018 report by Mecardo. Various industry reports have also demonstrated that the trade benefits all cattle and sheep producers Australia wide because of the underpinning effect that competition provided by the trade has on markets around the country. This was evidenced most recently by the market-driving support an open live export order Landmark International held to Russia had on southern weaner sales in Victoria and South Australia earlier this month. Live export markets also provide an important destocking option during ‘must-sell’ drought scenarios for cattle too light for processing, as experienced exporter Scot Braithwaite recently argued. 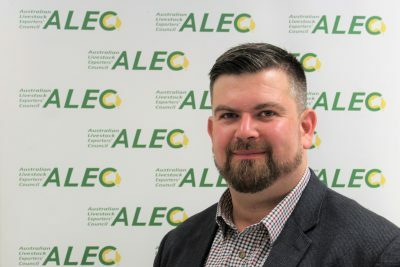 The industry’s peak representative body, the Australian Livestock Exporters’ Council, suffered a setback over the Christmas period when its recently appointed CEO – former Queensland Police Deputy Commissioner Brett Pointing – lodged his resignation only three months into the job, citing personal reasons which required him to relocate from Canberra back to Queensland. In his place has been appointed Mark Harvey-Sutton, a qualified lawyer who is well known in national agripolitical circles having previously served with the Department of Agriculture, as a policy director for Cattle Council of Australia, acting CEO of the Sheepmeat Council of Australia and more recently as general manager of rural affairs at the National Farmers’ Federation. ALEC chair Simon Crean, a respected former Labor Agriculture Minister, brings considerable political experience to the industry. For the above reasons the next three to four months leading into the Federal Election will be perhaps the most critical period the livestock export trade has ever faced. The industry has never thrown significant resources behind public campaigns to try to win support from voters and politicians whose impression of live exports has been shaped almost solely by relentless and effective campaigns from the trade’s opponents. With the credibility of some of those campaigns coming into question this week, it will be up to exporters, producers and the many businesses and communities that service and rely on the trade, to throw everythign they’ve got at trying to turn the ship of public perception around, at least somewhat, before the next election – beyond that may be too late.